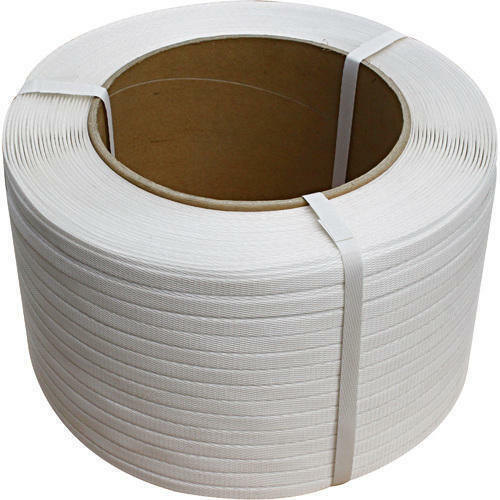 Backed by rich industry experience and market understanding, we are involved in offering a wide array of Virgin PP Strap Roll to our valued patrons. We, Sharp Engineering from 1996 are prominent manufacturers, exporters, traders, wholesalers and retailers of high-quality Packaging Machine. Offered products range consists of Strapping Machine, PP Strap Roll, and Hand Strapping Tools. All offered products are made using quality tested material and latest technology. Sturdy designs, enhanced durability, and damage resistance are some of the features of our offered range of products. These are extensively used in diverse industries like pharmaceuticals, paint, rubber, paper and many more. In order to manufacture these machines, we have an ultra-modern infrastructure facility. Also, our professionals make use of advanced techniques to deliver a range that meets the exact requirement as specified by the clients. Owing to our ethical business policies, quality tested products range, and reasonable prices, we have increased the number of our satisfied clients. Also, our exporting countries are South Africa, Egypt, Kenya and much more.